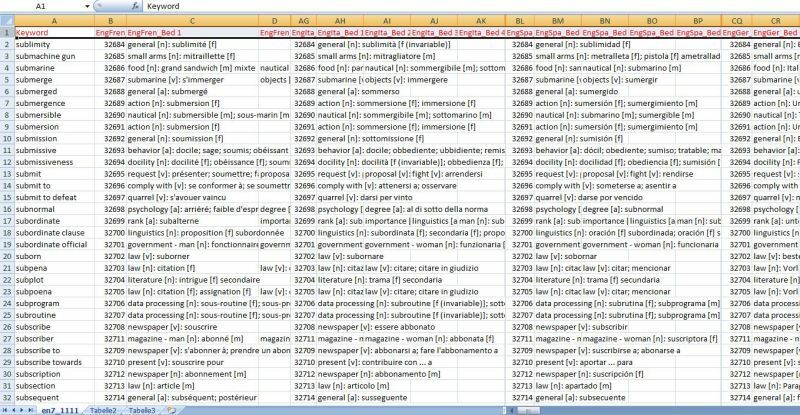 Multilingual Dictionaries English, French, German, Portuguese, Spanish, Italian, Dutch, Swedish in SQL, Excel or Access - format for commercial or private use. DTM Database Content Analyzer is a tool for database statistic: general statistics and 5 built-in reports: database size, value frequency, extended data statistics, cluster finder and anomaly finder. Supports all popular database management systems.